Yes, I know - it's already time for Dryden Old Home Days. I've foolishly sat on this collection of photos, though, and they need to see the light. 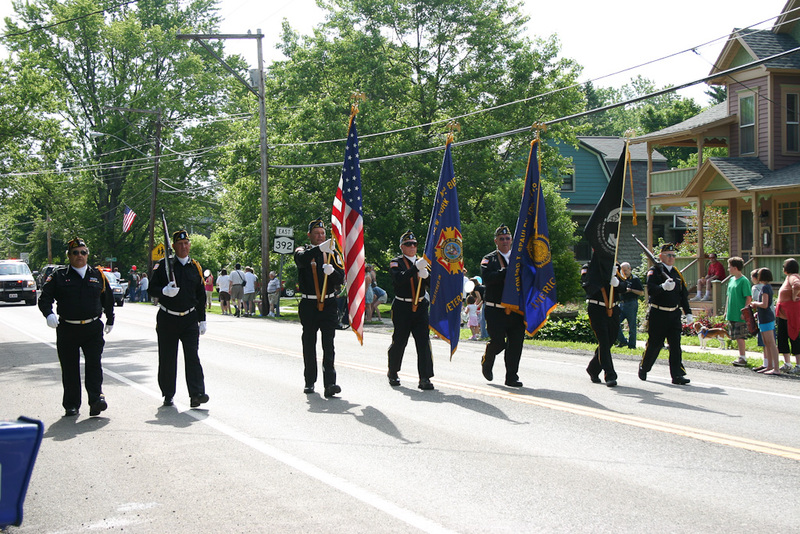 Angelika took almost all of them, at the Dryden Dairy Days parade and in Montgomery Park afterwards. 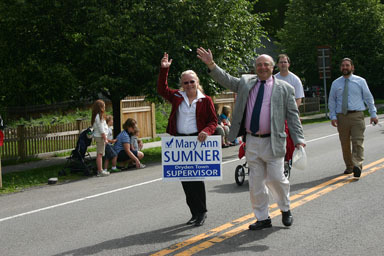 Town Supervisor Mary Ann Sumner and County Legislature Candidate Mike Lane. 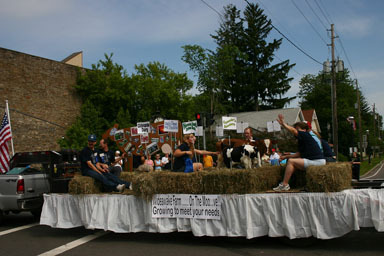 Wideawake Dairy helps put the Dairy in Dairy Day. I've also posted a full gallery. After years of saying "no" to running for office, I agreed tonight to run for Town Board this November. I'm very happy to be running with incumbent Town Supervisor Mary Ann Sumner and Town Board Member Jason Leifer, and hope to be able to continue to push for things I've long supported on this blog, from a different position. I'll have a lot more soon, once I get past the initial shock of "wow, I'm really a candidate!" Talk about gas drilling is often pretty abstract. Signing a lease doesn't put a sign on the land saying "this land leased for gas drilling", and figuring out what has been leased can mean a long trip through stacks of deeds. 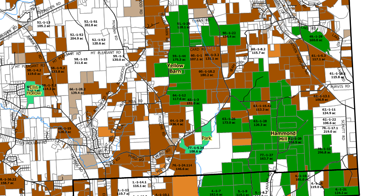 Today, though, you can take a look at what's been leased in Tompkins County, thanks to a new gas lease map from the Marcellus Accountability Project. The data was collected by hand, and there may have been changes over time. They do provide information if you want to go looking for more yourself. In my immediate neighborhood, just west of the Route 13/366 overlap, there isn't very much leased, except The Orchid Place and Autoworks. (White is unleased. 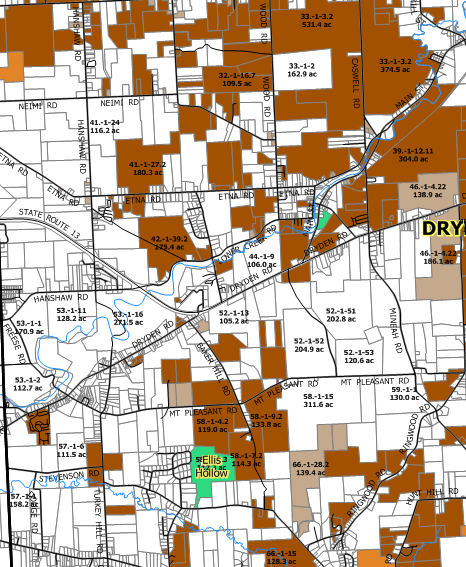 Dark brown means surface rights are included in the lease.) Down the road in Varna, Hillside Acres is leased. Gas leases along Routes 13 and 366. 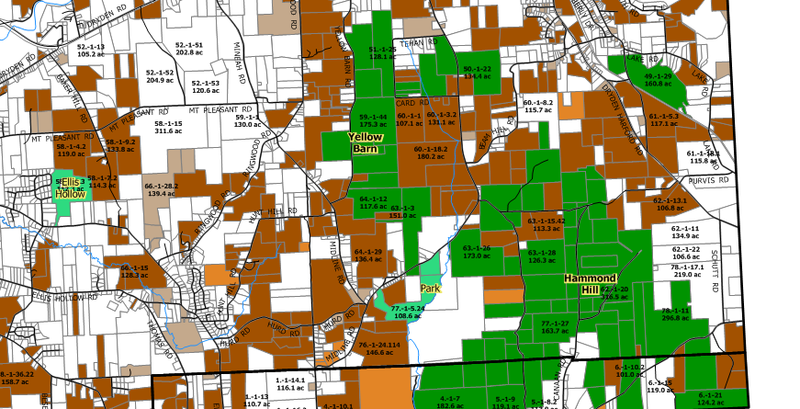 I worry that that map may understate the leases around the Route 13/366 overlap, as Angelika was looking for possible orchard land in some parcels marked "unleased" there - but the owner made clear that he'd sold rights. 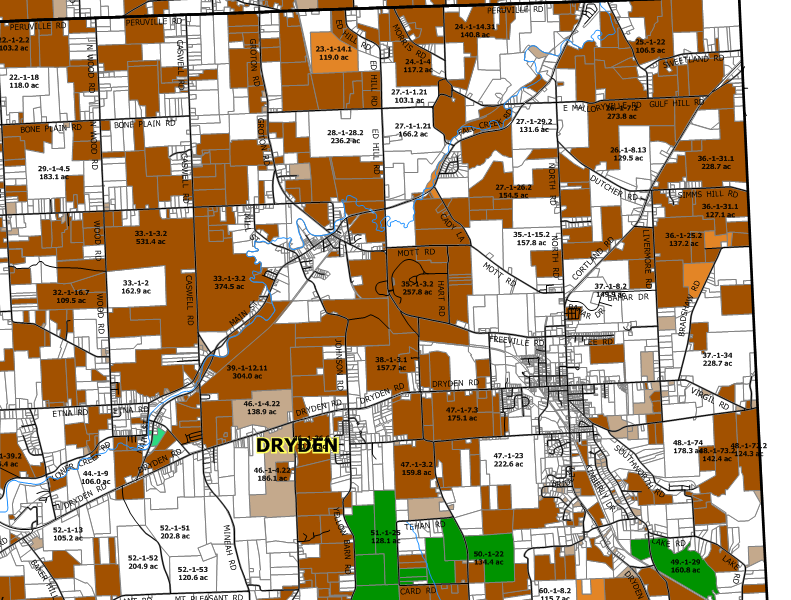 Gas leases around the Villages of Dryden and Freeville. The southeastern hills are a mix of leased land and green state forest, making the state's decisions about its property seem extra-important. 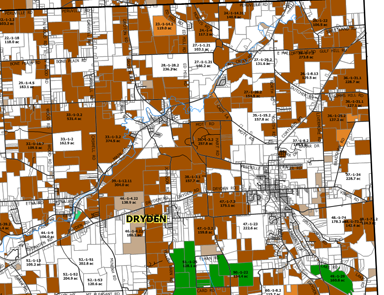 Gas leases in the southeastern corner of the Town of Dryden. Another sign making it a lot less abstract is a field services company "setting up a $30 million outpost" down the road in Horseheads.